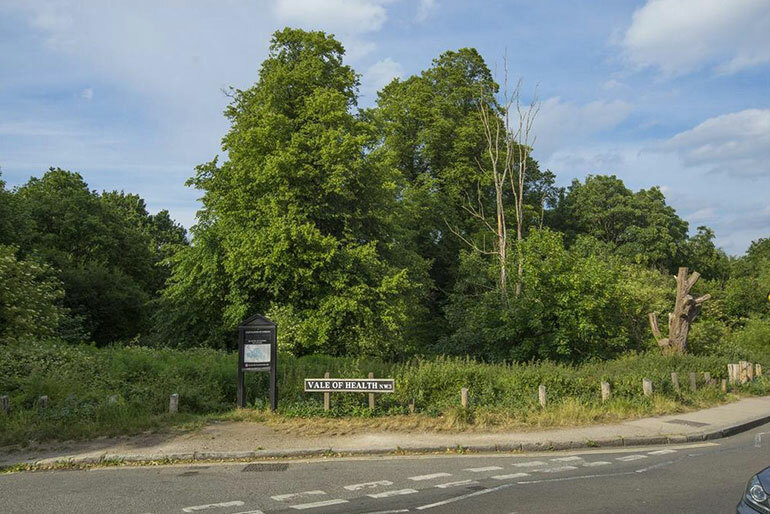 A house in Hampstead Heath has gone on sale for a cool £4.5 million, but this is no stately manor with acres of land. Oh no, the 3 bedroom, 3 bathroom house with a cinema, gym and (most importantly) wine cellar is near invisible from the roadside! ‘How can this’ be I hear you asking? Well, behind the little wooden fence is a doorway to a bright, spacious and glamorous property that is embedded into the ground. The plot of land has been built in such a way that every bit of space available has been utilised. The ground level has a driveway and parking for up to 3 cars. Walk through the first doorway on the wooden fence and it’s like you’re Alice following the rabbit into a new world. 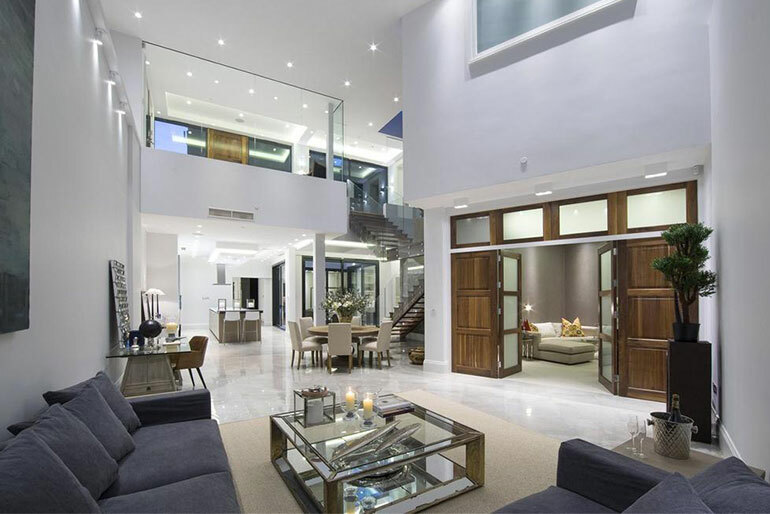 Across the decked outdoor area is the front door leading you into a reception area – the first bedroom with en-suite and a dressing room is off to the left, with stairs leading down to the main part of the house. The first room downstairs in the invisible house is the dining/living room with a grand triple height ceiling that steals natural light from the windows high above. Tucked away at the back of the dining/living room is a library/family room, a cosy little snug where you can escape. The world’s most expensive apartment is in Monaco. Behind the stairwell you have the stunning kitchen area with a breakfast bar. It’s sleek, concrete finish and the shiny cupboards look more like large tiles than where you’ll be keeping your pots and pans. 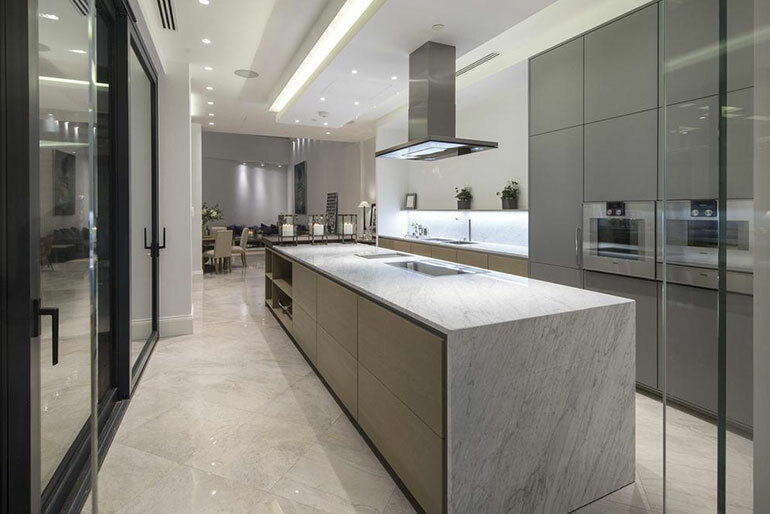 It has such a crisp and clean finish, I’m not sure I’d enjoy cooking in here as I’d be concerned about making a mess – although at £4.5 million you’d probably have a cleaner! Hidden away under the stairwell is a doorway leading to the second bedroom with the statutory dressing room and en-suite, with the final bedroom spreading out just past the kitchen next to the home gym/studio. 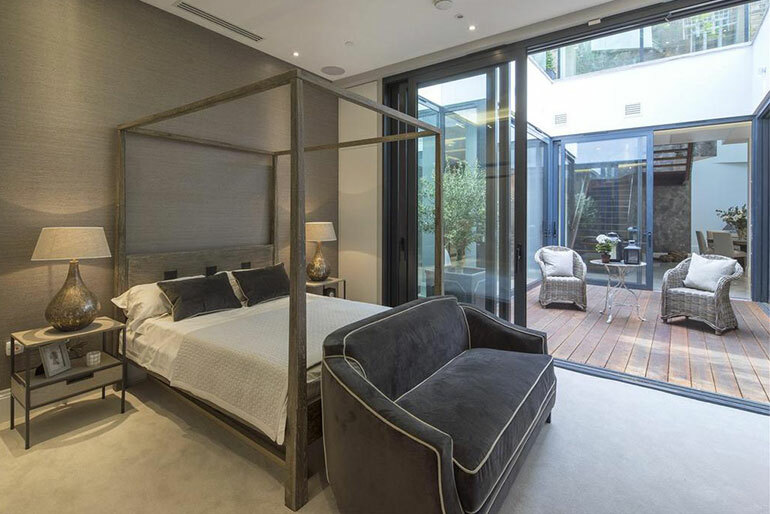 You may be thinking the bedrooms will be dark and lacking natural light – well, you’re wrong, the architects took this into consideration and created a decking area that sits between bedroom 2 and the kitchen, with bedroom 3 at the back of this outside chill out area. 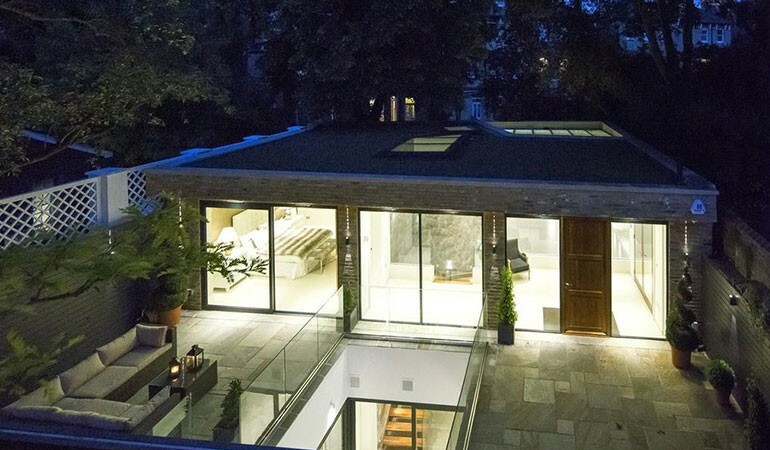 All have large glass walls to let light flood in. If this house is out of your price range, use our infographic to help your home feel bigger. Continue through the gym/studio and you’ll find yourself in the cinema room. 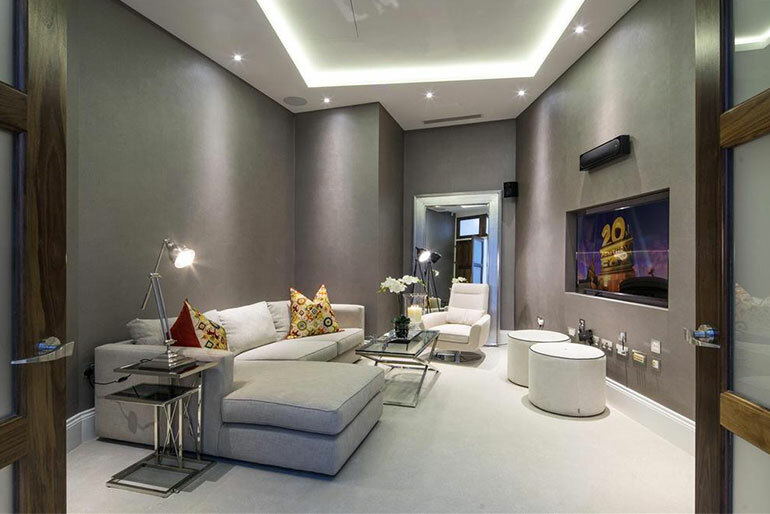 It’s a plush room that you can imagine sitting in with a group of friends and a bucket of popcorn – it’s just far enough away from the bedrooms for it not to be heard (sure it has surround sound), but close enough to the kitchen to get more drinks and snacks. The final room to visit is squirrelled away behind the cinema in the basement – the wine cellar. 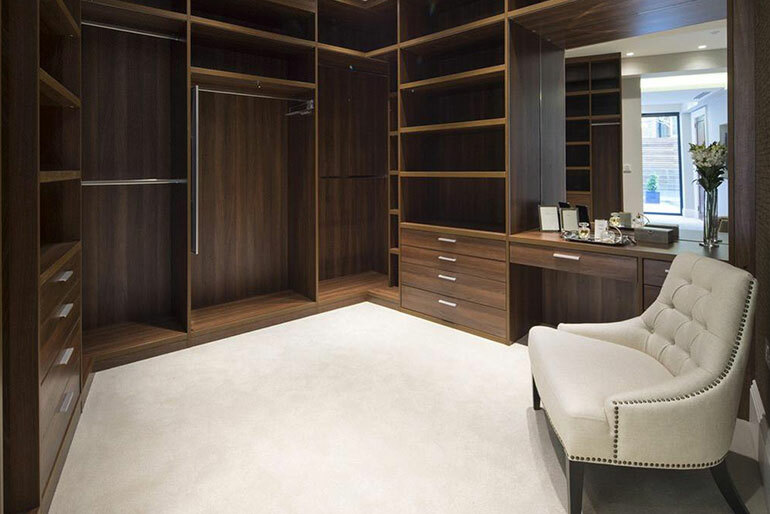 A compulsory room when you’re spending millions of pounds on a house! If you fancy a closer look at the house, here’s a virtual tour. 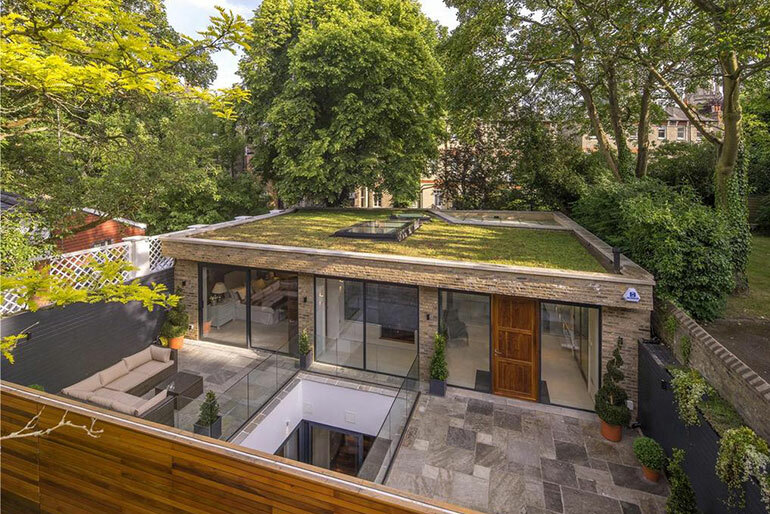 What do you think of this house – is it somewhere you’d like to live if you could afford it or would you rather spend £4.5 million on something else? Whatever your thoughts, let us know on Facebook or Twitter, we’d love to chat with you!